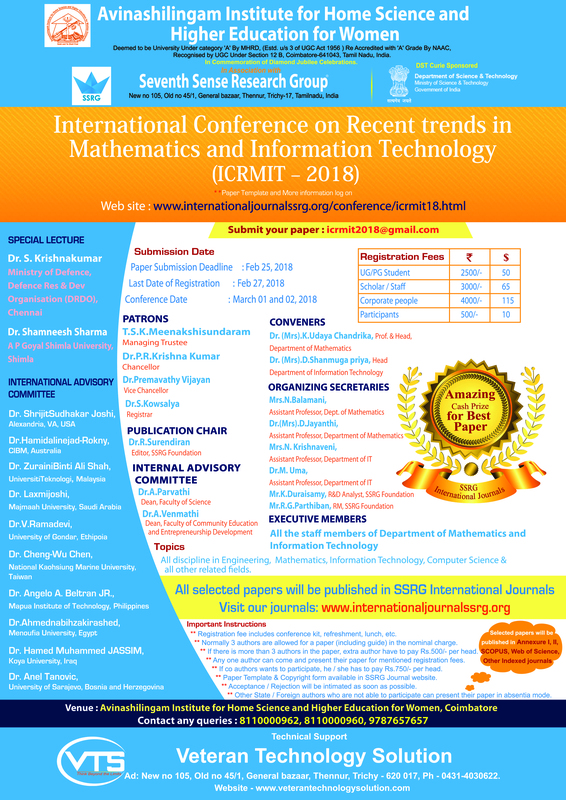 International Conference on Recent trends in Mathematics and Information Technology (ICRMIT-2018), Avinashilingam Institute for Home Science and Higher Education for Women, Coimbatore, India. The aim of ICRMIT-2018 is to bring the research domains in mathematics and information technology on a single platform. This conference will bring the research communities of different fields together at one place to share their research and ideas. The main purpose of this conference is to incorporate interdisciplinary research to bring out best applications. All Engineering Discipline, Computer Science and Mathematics, **Not Limited to the above Topics, Author can submit any subject paper. 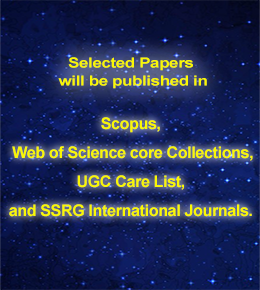 Dr.A.Parvathi Internal Advisory Committee SSRG Journals.